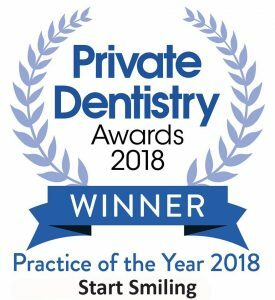 In this practice we take complaints very seriously indeed and try to ensure that all our patients are pleased with their experience of our service. When patients complain they are dealt with courteously and promptly so that the matter is resolved as quickly as possible. This procedure is based on these objectives. The person responsible for dealing with any complaint about the service which we provide is Linda Wright (Practice Manager). Whether a patient complains on the telephone or at the reception desk, we will listen to their complaint and offer to refer him/her to Linda Wright (Practice Manager) immediately. If Linda Wright (Practice Manager) is not available at the time, then the patient will be told when they will be able to talk to the dentist and arrangements will be made for this to happen. The team member will take brief details of the complaint and pass them on. If we cannot arrange this within a reasonable period, or if the patient does not wish to wait to discuss the matter, arrangements will be made for someone else to deal with it. If the patient complains in writing the letter will be passed on immediately to Linda Wright (Practice Manager). The General Dental Council, 37 Wimpole Street, London, W1M 8DQ (the dentists’ registration body).